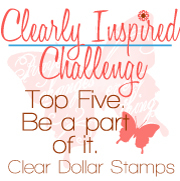 I love using my clear dollar Scripture stamps!!! Wonderful challenge!! what a fantastic inspiriation, dear dt-team! love your cards and the style of them!